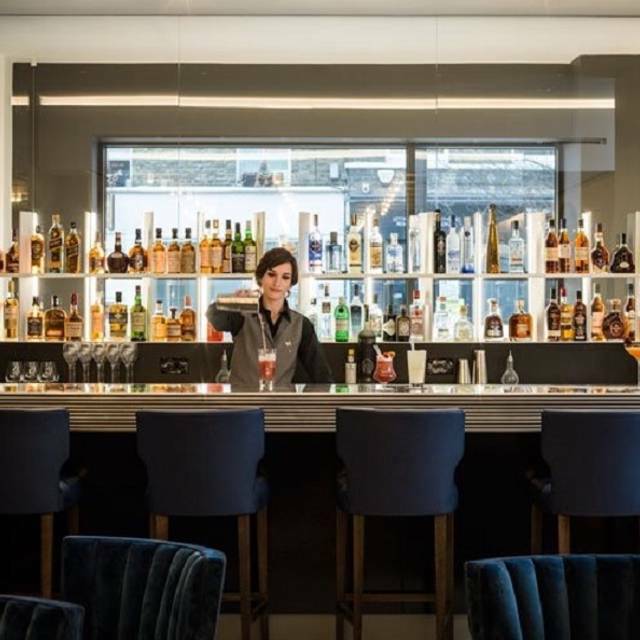 PLEASE NOTE THAT OUR MERE BAR IS OPEN ALL DAY FROM 12:00 UNTIL 23:45 MONDAY TO SATURDAY FOR DINERS AND NON-DINERS WHERE DELICIOUS COCKTAILS AND SNACKS ARE AVAILABLE. 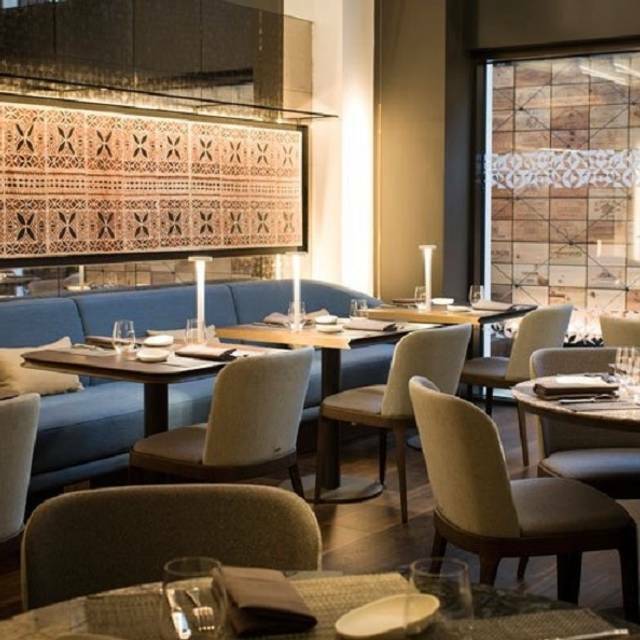 MERE is husband and wife team, Monica and David Galetti's first restaurant. Spread over two floors, this Fitzrovia-based restaurant is the brainchild of Monica Galetti who is featuring as a judge on the BBC's MasterChef The Professionals. The restaurant itself serves traditional, simple dishes that have been delicately tweaked and modified to Galetti's liking. Nestled above the spacious basement restaurant is the bar, which serves light snacks and an array of delectable cocktails. Monica's husband, David Galetti, is in charge of the Front of House at Mere, using his years of experience as an expert sommelier to create a wine selection along side his head Sommelier Sandra that perfectly balances with the seasonal dishes on offer. From a set menu. For bookings of over 4, credit card details are required. What a fantastic restaurant. Went for supper 2 months ago and a landmark birthday lunch for a friend today. Both equally successful. The food is delicious, both to taste and to look at - so beautifully presented. Staff are efficient, friendly and very knowledgeable. The whole team go out of their way to make the guests feel special, and they catered unobtrusively for gluten free requirements, just substituting or omitting the ingredients without fuss. Do go - it's really worth a visit. Fabulous dishes with well recommended wine to match. 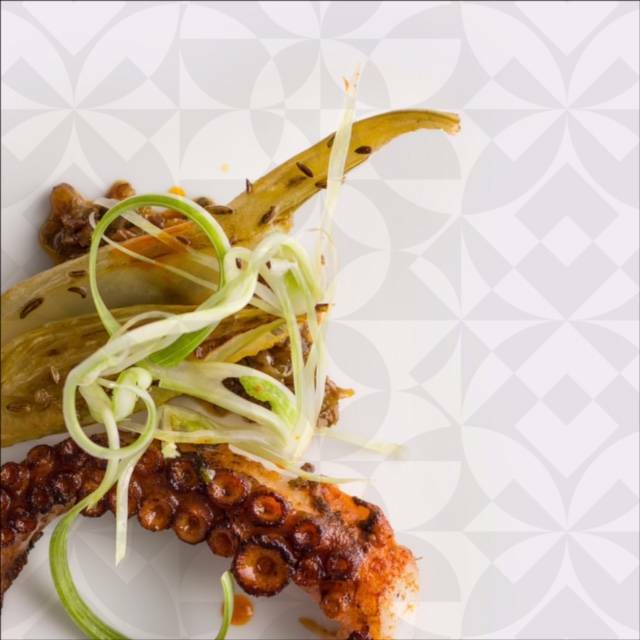 I can honestly say it was the best octopus I have ever tasted and hugely impressed with the skill and deceptive simplicity of the dishes. A triumph! The staff were professional and extremely friendly. Cannot recommend enough! We had a delicious lunch at Mere. We chose the tasting menu and it was superb. Food was amazing, each course more wonderful than the last, and paired with perfect wines. Staff were charming, knowledgeable and efficient. Great music played in the background too! Excellent food and service - one of our firm favourites every time we're in London. Was perfect had the tasting menu with wine pairing one of the best I have had. Another fantastic meal , great cocktails in the bar to start followed by lovely starters of octopus and smoked duck . The mains of lamb and pigeon were faultless . Deserts of Hokey Pokey and chocolate and Hazelnut were delicious. The experience from beginning to end is first class. Absolutely fabulous. On entering to leaving we were treated impeccably. Meeting Monica was the icing on the cake. Second visit and this time I feel I have to be a little more critical this time. Service and quality of the food were superb but the potion sizes are just unnecessarily small. If there is one thing that leaves a person disappointed with a meal it's having to eat more after getting home. So much effort has already been put into the ingredients that putting 50% more on the plate (especially the main) is not going to seriously affect the bottom line and leave people feeling much happier. I would even have happily paid £5 more for my £40 plate if it has covered the cost of enough ingredients to actually satisfy my appetite. Money aside, I do recommend tasting the food here but I also sadly have to advise going after a generous lunch to avoid the empty feeling overshadowing the quality of the food. Note: This review was not written by a 17 Stone man with an enormous appetite! The food, service and ambience were really good and was lovely to meet the chef who was super-friendly. We had the taster menu which was lovely and my wife really enjoyed the wine-pairing. The only constructive feedback would be that we felt as lovely as the food was, the total cost of the meal was a little more expensive than we expected. Excellent food, masterly presented. The service was good and professional, the staff was working as a team. It probably helped to have an early dinner, as the restaurant good quiet full very quickly. Smart place with a heart and pride! One of the most delicious and enjoyable dining experiences ever. Service was enthusiastic and contributed a lot to our excitement as the dishes came. Meeting the chef at the end of the meal was an added special treat. They really know how to create a top- tier pleasurable experience. Great vegetarian tasting menu. 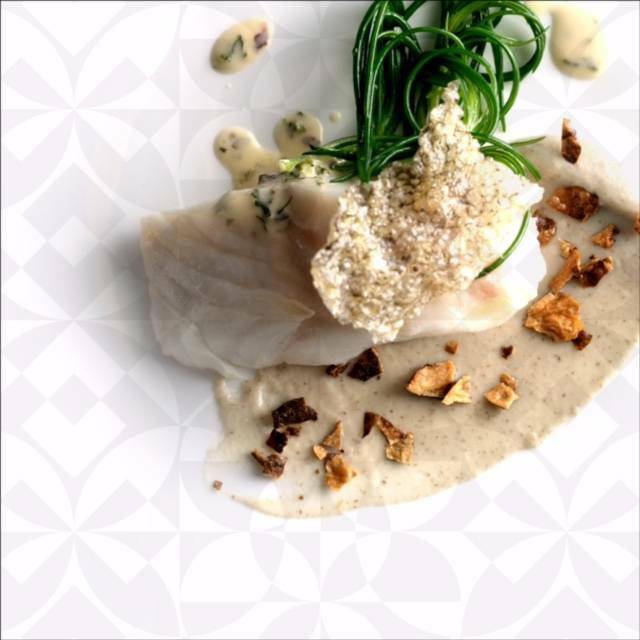 Sublime flavours and absolutely the right portions for the 6 course tasting. The bar complimented the dining experience with a very helpful and informative barman. I would recommend Mere to all foodies looking for good food, wine and ambience this place has it all. A fantastic restaurant in which to celebrate a special occasion. The service was superb, the food beautiful and delicious and the atmosphere perfect. Fantastic 6 course vegetarian tasting menu with paired wines. Every item was delicious and the service was friendly and efficient. Nice pre-dinner drinks and nibbles in the bar too. Highly recommended! 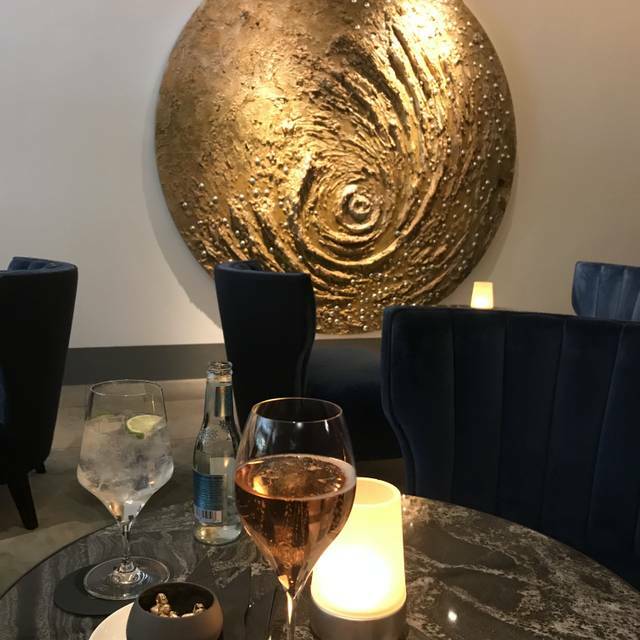 My wife and I recently visited Monica and David Galetti's Mere restaurant and I can only describe our experience as fabulous. The whole experience from the moment we walked in felt friendly and relaxed with knowledgeable staff that were attentive but not intrusive. We had a drink in the cocktail bar first before going downstairs to the dining area which again had a lovely relaxed atmosphere. The service we received was only surpassed by the brilliantly prepared and delicious food, scallops and octopus to start followed by Cornish cod and Hardwick lamb for mains then my wife's favorite Hokey Pokey and the Rhubarb & Yuzu for me (absolutely fantastic). Being able to chat to Monica after we had eaten and then David later as he walked us to our taxi was great and showed us that they really are friendly down to earth people. I wish them every success in their venture and agree with other reviewers that this is a Micheline star restaurant in the making. I took somebody special out for birthday and it was an excellent evening. We liked that bar is separated from the restaurant and you can have a drink and relax first after rushing through London. Downstairs is a modern dinning area with very tasteful interior and relaxed atmosfere. We went for tasting menu and no regrets there. Food was from heaven and wine not much behind. Scallops with lentils for starter and Herdwick lamb are too dishes I'll remember. And definitively Yorkshire rhubarb for desert. Service is on time, friendly and always helpful to run through the dishes you have never seen. We will come back to try some more dishes and wine of course. Wonderful restaurant, outstanding food and very friendly service. 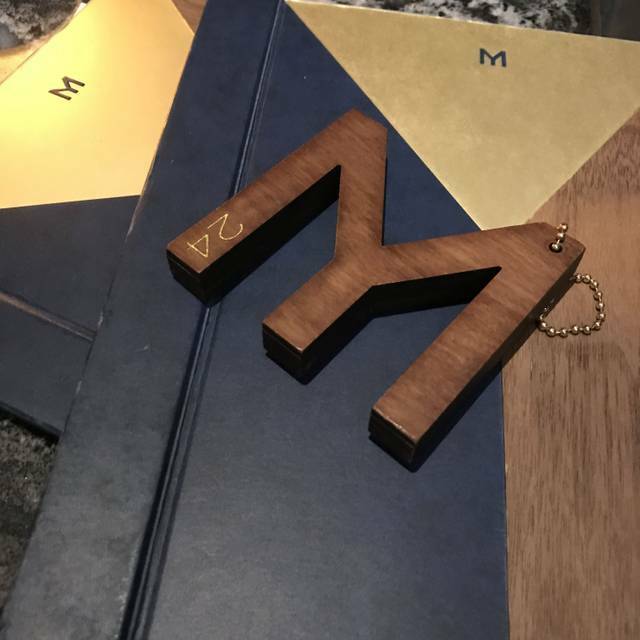 I was gifted a set lunch for my birthday and thoroughly enjoyed the food at Mere. The Pea Soup was really delicious and silky with saltiness coming from the lardons, the poached egg oozed richness and the whole plate was lovely. The Beef Cheek for main simply melted in your mouth while the broccoli added some some crunch along with the onions. The Blood Orange Soufflé was not too sweet the biscuits were crumbly and light but it felt indulgent. We also had the cheese and biscuits ;) and thought the serving was generous - 4 different cheeses and crackers including one of my faves Comte - yum!! The red wine jelly was brilliant it burst on your tongue so you had a sip of wine with each bite. Although this was a gift the prices are very reasonable considering the quality, definitely affordable for a date night/lunch. We had a cocktail in the bar first upstairs which I’d recommend as the vibe is very relaxed, you’re not rushed either which is nice. The service was very good and friendly overall an excellent visit. Considering the price of the food you would expect your meal to be at least warm, my wife's meal was stone cold! From the online booking through to the card and chocolates presented as a ‘congratulations on your wedding anniversary’ caring touch at the end of the meal this was a memorable occasion in all the best ways. Warm welcome and lovely ambience both in the bar area and the eating area downstairs, David and his crew showed outstanding attention to detail and by doing so created an ambience that is as good as any restaurant we have been fortunate to dine in over the past decade. David’s wine knowledge led us to try a French Malbec having started with a recommended rosé Champagne. It was superb! Nonetheless we still prefer the Argentinian Malbec from Mendoza region. The option of the tasting menu was very tempting and we may choose that next time - for there will be a next time and soon!! We started with venison tartare with caviar - and octopus. Impossible to choose between them as they were both stupendously tasty....maybe the octopus won by a tentacle! Mains were pork tenderloin with black apple purée and pork cheek for my wife and canon of lamb with lamb tongue and black garlic for me. At least as good as the starters. Possibly better.....if that were possible. For dessert my wife had the signature chocolate dish hokey pokey with sensational ganache. However I may have trumped her with the Rhubarb YuZu that was both refreshing and utterly sublime. We shared a cheeseboard with dehydrated grapes red wine jelly and superb crackers. Lastly the coffee was up to the standard of the food and the wall art. 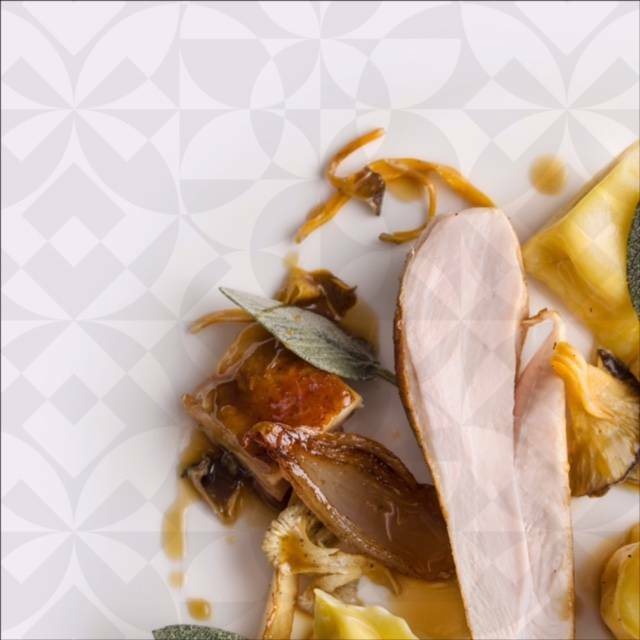 Monika Galetti - Michelin star quality and a fabulous experience! Thank you all! I had an amazing lunch at Mere from first entering the restaurant to leaving we were thoroughly looked after. All the staff were friendly, attentive and professional, the food, wine and service outstanding. Prices reasonable too with a lunch set menu at £29/£35.00. I've already been singing the praises of Mere to all my friends and plan to book again for a friends birthday coming up soon. A chic, airy restaurant with modern, arty decor, the place also has a calm, relaxing and casual but smart feel about it. 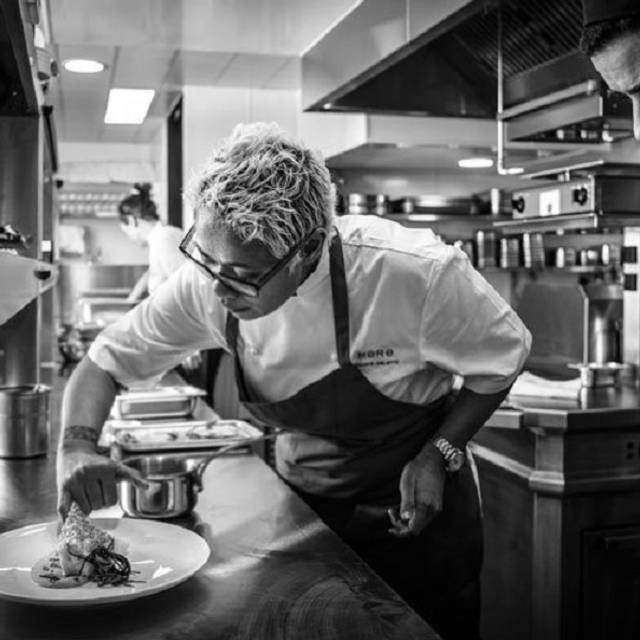 For something extra special, I unexpectedly spotted Monica Galetti in the bar lounge later that afternoon casually sitting chatting to a friend and as the friend was leaving, she welcomed my requests to have a few photos and also kindly signed their new menu for me - amazing! I didn't expect that to happen, what a fabulous way to end an incredible lunch. Thank you Mere for such a wonderful experience. We were 4 people - all rated Mere as excellent. The decor is understated, unpretentious, so you know its all about the food. Its quiet, with good spacing between tables - I can think of many restaurants that fail badly on this point; in Mere you feel at peace , not having to shout and compete to be heard, before you have even ordered your food. The food itself was completely outstanding. The wine list was as good as it gets - not a great long book, just really well chosen. We shall be back, as often as my pocket allows! A wonderful lunch! Exceptional food - the flavour combinations in very dish were superb. Staff were attentive and knowledgable. Our first visit to Mere and an excellent experience. Congratulations and thanks to the team who made a birthday treat truly memorable. Mere deserves a top accolade. We enjoyed a superb lunch here as part of my 50th birthday celebrations. We had the tasting menu. The food was delicious and the service was impeccable. 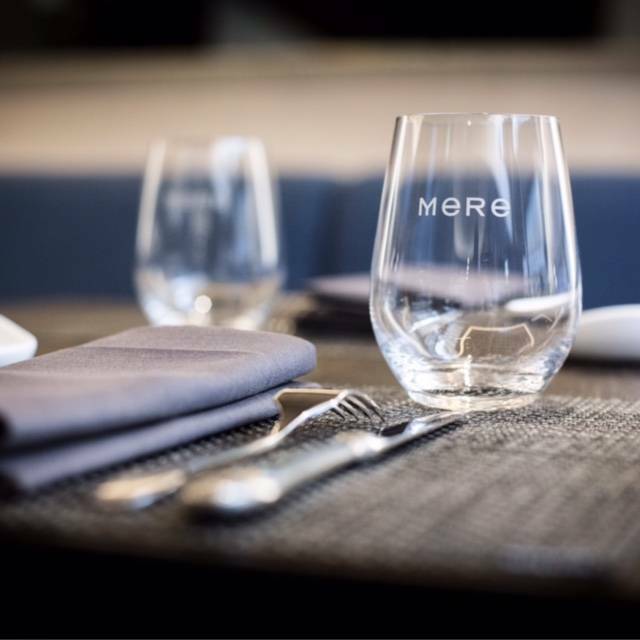 There was a very relaxed atmosphere and we look forward to eating at Mere again. This was my second visit t Mere - I enjoyed it so much the first time I couldn't wait to go back. The new Spring menu has just been introduced, and is delicious. My starter of asparagus and morels was delicate and a feast for the eyes as well as the palate, and the Herdwick Lamb main was perfect. Service was friendly and attentive without ever becoming overpowering . It's good to see, too, that the restaurant offers a full vegetarian tasting menu, alongside the non-vege one, making this an excellent choice for mixed groups. Great food, ambience, service...this place has it all. If you’re a foodie, or even if you’re not, go. It’s great. Monica, David and the rest of the team deserve high praise. Thoroughly enjoyed ourselves, and we’re not easily impressed. Wonderful flavours with unexpected combinations. This was my third visit to Mere in 4 months and I was truly impressed yet again with the excellent food, impeccable sevice and friendless of all staff in this restaurant. I look forward to my next lunch. Everything about Mere was lovely; nice welcome at the door, great food, unfussy and attentive service, nice space and atmosphere. Food highlights were pumpkin pasta with marmite, a superb lamb main and pistachio tart. Monica Galetti then came round every table to say hello and chat - a really personal touch. This is higher-end dining with a price to match, but worth every penny for a special occasion. Will be coming back! Overall a wonderful dining experience. The food was prepared and presented beautifully as was my cocktail. The little in between food samplings were truly delicious and the starters and entrees we ordered were very good. For dessert the Hokey Pokey is a MUST!!! SO SO GOOD! Service was good and the only down side to the experience for us was the table for 2 being so close to the surrounding tables with just enough room for the waiters to squeeze in between to serve the abutting tables. We prefer to have more privacy and space when we enjoy fine dining. An excellent meal in a lovely restaurant. The octopus and the pigeon were particularly good. A slightly qwerky wine list but otherwise very good indeed.